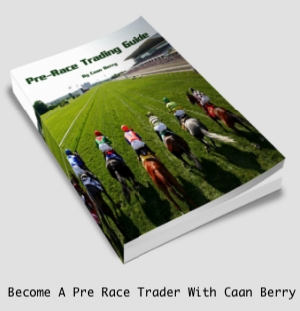 Hot off the press from our partners over at Racing Traders…. BetTrader Perpetual £99 | Birmingham Beginners Course £199 | Online Video Course £99 – Invest In Yourself For Christmas! I’ll keep it short and sweet today. The Black Friday Sale Ends Midnight Monday (27th Nov) and these prices will NEVER be back. BetTrader Perpetual at £99 is a lifetime subscription. Don’t you hate paying monthly? Get rid of your BetTrader bill forever. BetTrader Perpetual is usually £149 – Save £50. The Beginners Horse Racing Trading Course on 9th December 2017 is £249. Today until midnight Monday you can join us in Birmingham for £199 – Save £50. Our hugely popular Online Video Course at £199 working at the pace that you want is great value. But as it’s Black Friday it’s now only £99 – Save £100. Watch a slice of our fantastic first webinar with Adam Todd. This is the world exclusive of the BetTrader Evolution software in action. Yes a real catch for us as, this was the FIRST demo Adam has done with his excellent new browser based trading product, so bet72 were really privileged to host this session, enjoy! We have over 40 minutes of footage of the man himself trading and answering any questions our members could throw at him over at our membership site, www.betseventytwo.com so do check it out today. Catch the Promo Video here….. The next version of BetTrader will be ready for release very soon and here are the very first pictures of what everyone has been waiting for! BetTrader Evolution is the first and only browser based Betfair trading application, another first for RacingTraders, can’t wait!